This page relates to the healing properties of stones in the second half of the S section of the alphabet. Do not be surprised if you discover that the stone you are looking for information about has another name, as some stones have more than one name that refers to the same crystal. There are so many stones beginning with S, that the page was very long. So it was necessary to divide off the stones from Sn through to Su (which is the theme of this page). There are some common as well many uncommon stones covered here. Some of these stones may have their own in-depth page written about them. Check under the picture of the stone, and if the name is highlighted with a link, you can follow that link to the page about the stone. For stones that have not yet had their own page written, each of these crystals has an explanation covering the metaphysical properties of stones like them below these photos. 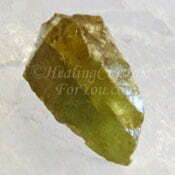 There are many healing crystals for you to read about on this site. 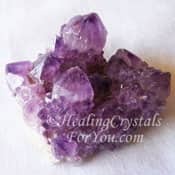 If you wish to read about stones that have an individual page you will need to go to their specific page to read about them. Once their specific page is written their properties are removed from here (as this page was just too long). The name of these stones are highlighted with a link. Simply click on the link to go to their page. Within the text, you may also see, that as well as the links relating to the stone names, there are links regarding various other attributes. 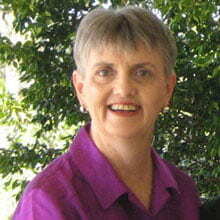 These links will take you to pages on that subject, such as developing psychic gifts, or stimulating your creativity. You may also see links in the text regarding various other attributes, and these links will take you to pages on that subject, such as developing psychic gifts, or stimulating your creativity. There are also pages for other parts of the alphabet, and if you need to find something quickly there is also a link to the sitemap page at the bottom of this page. Enjoy browsing and hopefully find some stones you didn't know about. 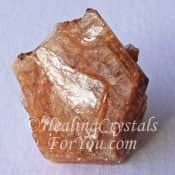 If you were looking for stones that begin with S but are in the section of stones that begin with from Sa to Sm, please click here. At the bottom of this page, after the healing properties of stones in this alphabetic area, there is a list of chakras with the various stones that resonate at each chakra. 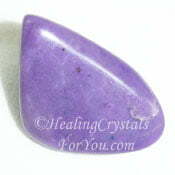 This list helps you to discover which chakras that each stone stimulates. Snakeskin Agate has a lovely vibration that stimulates feelings of inner harmony, and helps you to recognize that life is worth living. It stimulates feelings of happiness and assist you to let go of any depression and stress you may find is dogging your customary existence. It is one of the stones used to stimulate kundalini activation, so if this is why you wish to use it, place it at the base chakra. Use it to help you to find lost objects as well as to assist others to lose interest in you when you would find this to be beneficial. 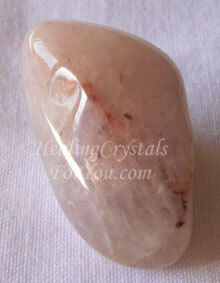 Snow Quartz is also known as Quartzite or White Quartz. 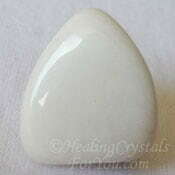 White quartz has a feminine vibration and has a calming and soothing vibration, that helps to support you while you are learning life lessons. 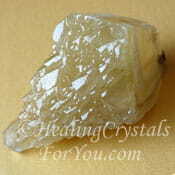 The healing properties of stones that are made of quartz is similar in that it may be programmed. 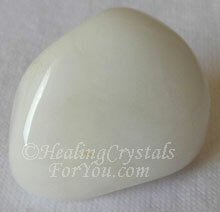 It may be used in meditation, as like most white stones it resonates at the higher chakras. 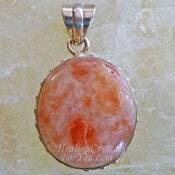 It is said to bring good fortune into your life, and may help the immune system. 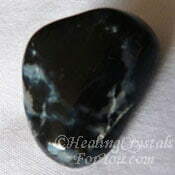 Snowflake Obsidian has a strong spiritual grounding vibration, and allows you to be more aware of coincidence and synchronicity as it occurs. 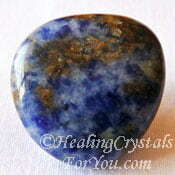 This is an excellent stone that you may place on the third eye chakra during meditation. It is both soothing and calming. 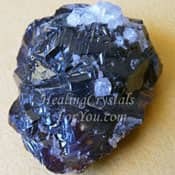 The healing properties of stones of the Obsidian group will all help you with spiritual grounding, and will take excess energy down through the base chakra to the earth chakra for grounding. It helps you to make a stronger connection with your loved ones on the other side. It aids you to release old patterns of behaviors that are no longer of value to you. Sonara Sunrise is a mix of Cuprite and Chrysocolla, and is a trade name used to describe an uncommon stone from one place in Mexico. 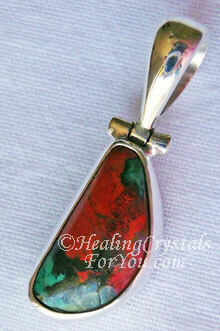 It is said to be a stone of empowerment and freedom, and is a mixture of red Cuprite and blue-green Chrysocolla, which are both copper based stones. The healing properties of stones like these are quite interesting in that red Cuprite is a strong stone at the base chakra for spiritual grounding. 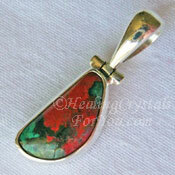 It will boost your energy and may help you to embrace your feminine or receptive side. The healing properties of stones like the lovely Chrysocolla, that embodies goddess energy, will encourage change in your life. It is well known for its action to empower and energize the words you speak. 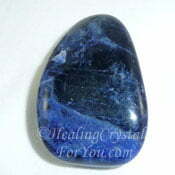 It is known as a teaching stone to aid you to impart wisdom to others. 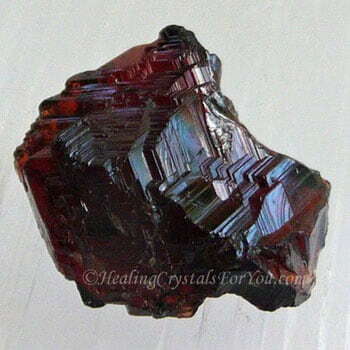 The combination of these two different energies within Sonara Sunrise creates a crystal that will work within many chakras, and is powerful to aid empowered and loving communication. Spinel comes in a variety of colors including the more common Red Spinel, Black Spinel and some less common colors as well. The healing properties of stones of different colors may vary, and they may have different applications depending on the color. 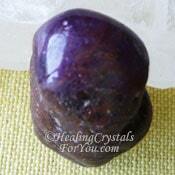 All Spinel will aid in lessening fatigue and replenishing energy levels. It assists one in creative thinking, and helps you to build a new self image. As it does this it will stimulate your capacity to embrace new talents and abilities that you may previously have been unable to use due to lack of faith in your own true worth. Starbrary Quartz The healing properties of stones like these are are very similar to Starseed Quartz, a variety of Lemurian seed crystals. 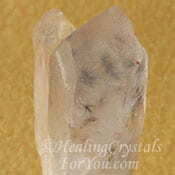 Starseed Quartz are also called Starbrary Quartz. 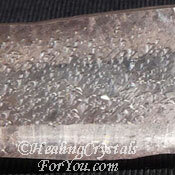 They are in the family of Lemurian Quartz Crystals that may have a combination of both ladder like striations on them or unusual hieroglyphs on them. Star Rubies are a variety of Ruby stone which have either titanium or hematite inclusions just under the surface of the stone. 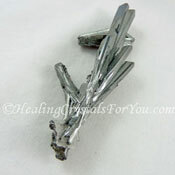 These are fine needles of these minerals, that form a pattern or array on the surface of the crystals. These patterns are quite reflective, and can form what looks like stars in the stone. Alternatively, and this does depend on the way the mineral have formed in the stone, you will see the light reflected in a way that mineralogists call silk. 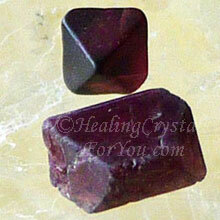 The healing properties of stones like these is quite similar to other types of Ruby crystals. 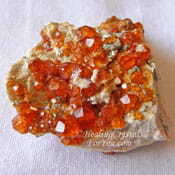 If you would like to know more about this aspect please read the in-depth article about Rubies. 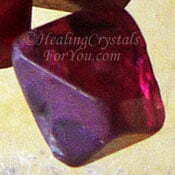 Star Rubies are reputed to have a magical energy as well due to their reflective properties. Stones that are shaped like the one in the image, are known as Star Ruby Wands, and can be used in healing and/or in magical practices. Depending on the exact make-up of these inclusions, and the way they are arranged on the stone, this shiny reflective area will be a different color to the base stone, and may be pinkish-red, purplish-red or even a darker maroon red-brown color. 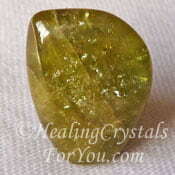 Stichtite in Serpentine is also known as Atlantasite. 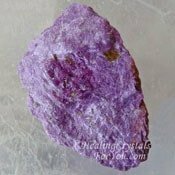 This stone is a naturally occurring combination of pinkish purple Stichtite and green Serpentine, which are both strong healing stones and both can be used to awaken the kundalini. It is known to help you to connect to Ancient Atlantis and to bring through healing energies from these times to help you today. 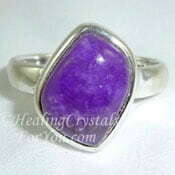 The healing properties of stones that are a combination like this is, will embody the attributes and healing energy of both Stichtite and Serpentine. 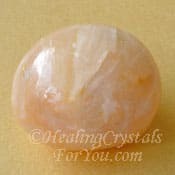 Strawberry Quartz is a variety of quartz with mineral inclusions that make it appear pink, and some pieces may be slightly translucent. It usually ranges from light to mid pink, and it often has white, darker pink, reddish brown or black markings in the stone. 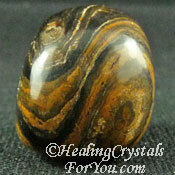 The healing properties of stones like these relate to their action to bring love, happiness and joy into your life. These lovely crystals resonate within the heart chakra, and it is helpful to keep one of them on your body, to bring love and happiness into your everyday life. 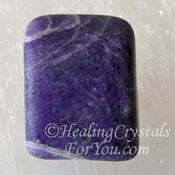 This stone used to be uncommon, but is now more readily available. 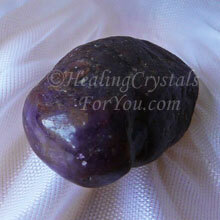 Combine it with other strong heart based stones to grid rooms where you feel a need to boost the loving vibrations. 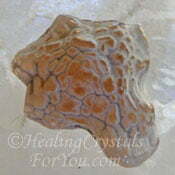 Stromatolite is also known as Algae Iron or Fossil Algae. 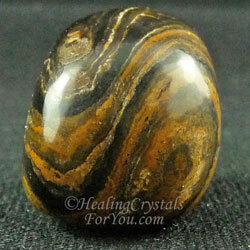 This stone promotes balance, strength and determination and can invite giant energy into situations. The healing properties of stones like these are powerful, as they work on the mind to help you to release fear that may be holding you back. 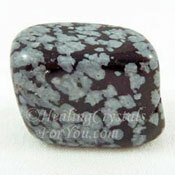 This is a good stone to have in the environment as it helps to purify and cleanse the area where it is located. It helps you to release energy around issues from the past where you may be condemning yourself for what you didn't do, rather than looking at what you did do. 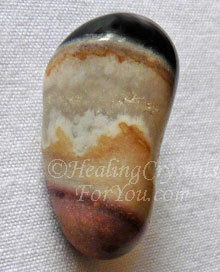 Suleiman is a type of agate that is often confused with Zebra Stone as it closely resembles it. 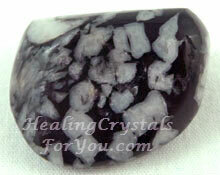 This stone may have black, white and reddish brown coloration. 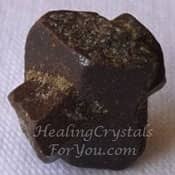 It is a stone of magic that will create a connection with the higher realms, and aid channeling, as well as taking you down and strongly grounding you. 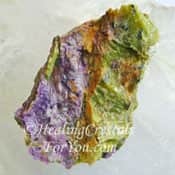 The healing properties of stones like these are interesting, as individual crystals may take a while to connect with you. 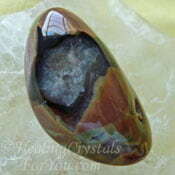 You need the stone to trust you and then it may decide to work with you, when you can learn many secrets from it. It helps you to work with past life issues that are causing issues in your current life, and will help you to purge negativity, by absorbing your negativity into itself. So it is important to make sure you regularly cleanse it when working with it. 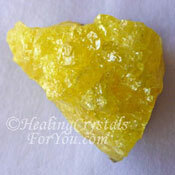 Sulphur has a number of healing actions, but should never be handled but just kept nearby. In the past it was known as brimstone, and it is not a stone that you should touch as it is poisonous. The metaphysical properties of stones like these have been known about historically as it was used as an insecticide and fumigant. Having it as an inclusion on another crystal, like the one you can see on White Celestite, pictured in the in-depth Celestite page, is a safer way to handle it, but it still needs to be treated with total care and caution. 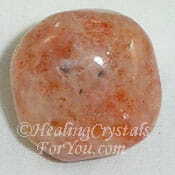 It is an excellent stone to have in the room, as it may absorb negative energy, and it may also help any dormant psychic abilities to emerge. 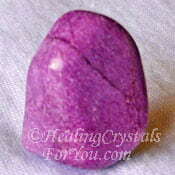 It is a helpful stone to have in your environment to aid emotional healing. 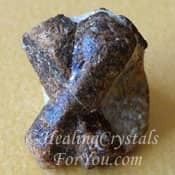 If you or someone near you suffers from negative traits or emotions such as easily getting angry, and being generally intractable, the healing properties of stones like these may be beneficial to have in the room to banish the negative energy. If you wish to discover which of the chakras that an individual crystal or stone will help, see the following list which features the chakra stones from Sn to Su. This list will help you to understand which chakras are impacted by individual stones. There are some crystals that may to assist a number of chakras, as the healing properties of stones like these specific ones have a stronger resonance. 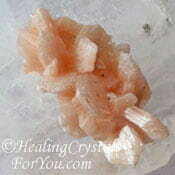 Quite a few crystals have a vibration that may particularly stimulate more than one area of the body. 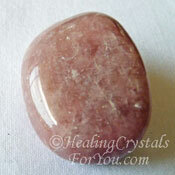 For these chakra stones, they will appear in more than one chakra category within this list. Take the time to visit my article that relates to the meanings of the individual chakras, to read a detailed overview about what chakras are.